The tech sector is still suffering from a shortage of skilled people. How to become more inclusive in a non inclusive environment? 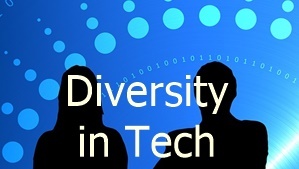 How to encourage people from different backgrounds into the tech sector? How to build a diverse and inclusive team and what is best practice? How to prepare the future work force with the right skills in tech? Almost every country would like to attract more home-grown and more diverse engineering talent to the tech sector. However progress is very slow and many professionals leave the sector after a few years. How to hire the best talent in tech and keeping them is a big challenge. Recruiters need to develop and implement a roadmap that focuses on new developments in the tech sector and identify and work closely with the different stakeholders in the recruitment process. Only a small proportion of tech start-ups are founded by a diverse team. The majority of tech start-ups are still founded by a white male only team. Research has shown that diversity can improve creativity, innovation, increases access to more talent and might even improve financial performance. We invite you to get in touch with us, if you would be interested in becoming a member, writing an article, sponsoring or speaking at an event or have any other proposal you would like to talk to us about.